I want to thank Erin for encouraging me to share this with you, so, Thanks Erin!! 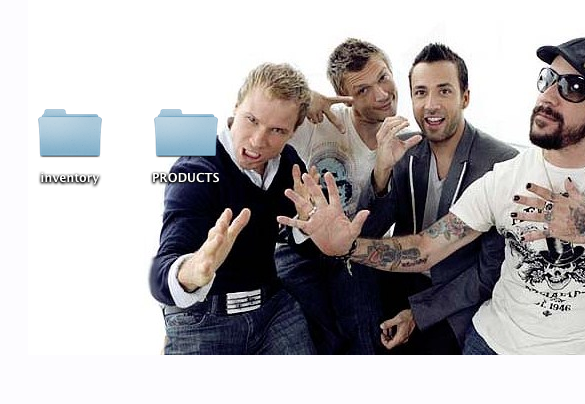 And yes, that is the Backstreet Boys on my desktop, isn’t Nick such a cutie?! 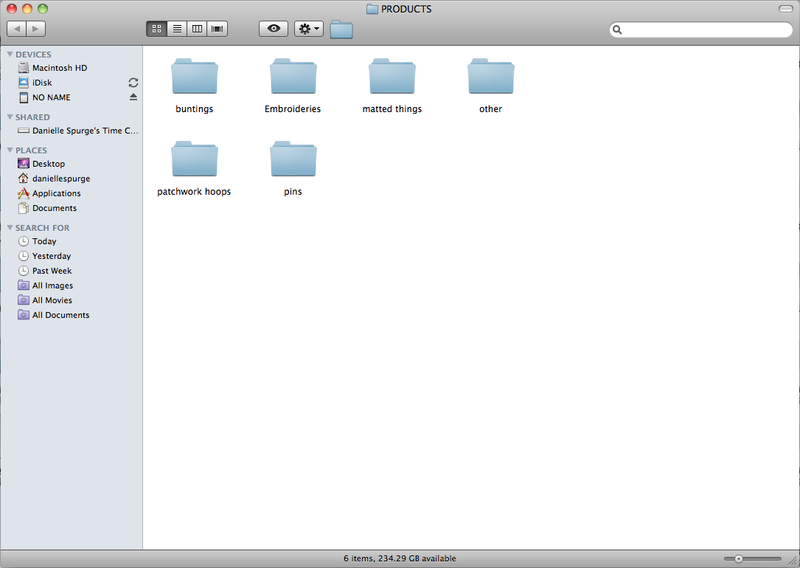 Inside of my Inventory folder I have one image of each product. I give all my products a number once they are photographed. This number is the title of each image. 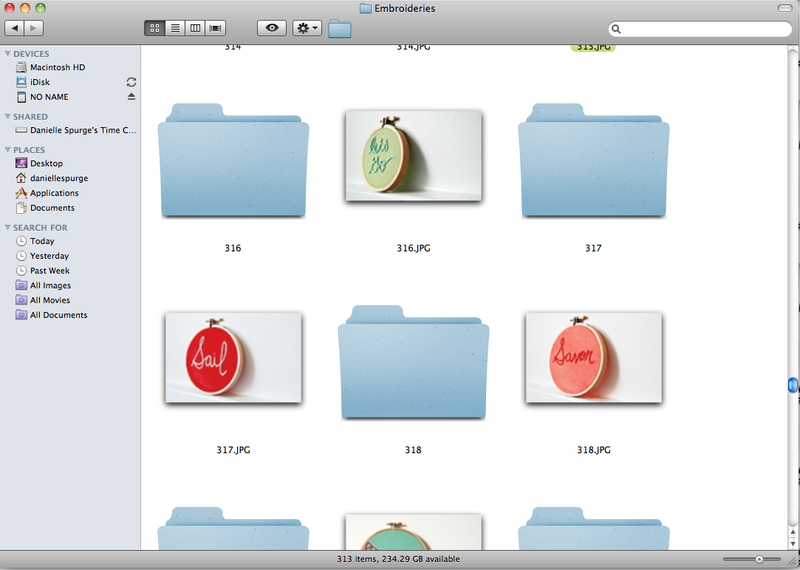 Of course, I keep this folder arranged by “name” so they are shown in order. When an item sells, I go to this folder and change it’s color to green. Green for go! I’m not sure if this is possible on a PC as I haven’t used once since 1997 but I’m sure that in that time they have developed something similar. And then inside each of those folders I have one image of each item and then a folder with the item’s corresponding number for the rest of the images of that item. That’s all folks… simple simple. I’m a big fan of anything that is simple! Also I am completely paranoid about my product organizations. How do you keep track of inventory? Reading this makes me realize I'm not organised at all. Maybe I should follow your example! Hmm, good question. How do I keep track of inventory? Er…. I don't… no, not really. A lot of my items are re-makable, so I don't need to track that something's gone. And also, I don't think PC has anything like that color thing at all. Never heard of anything like that! And…Congrats, you've been given a Versatile Blogger Award. Please visit: bhvintage.blogspot.com to accept and learn how to pass it on! I also use an excel spreadsheet to keep track of inventory/sales, as well as my expenses. Yours is such a fun, visual way to keep track, though! I am so glad this was shared on twitter. This is a great way to organize product photos and to see at a glance what has sold. Ahh, yeah, I don't think there's a color coating way to change folders – too bad, cause that's a great idea! I also use Excel to keep track of all my various moving parts and figure out when I need to reorder (it's color coded, full of formula calculations, and super-nerdy). Between Excel & Quicken to track expenses/income, I can analyze data to my heart's content! Im glad this was helpful! It works for me – I don't use excel really all that much, for money stuff, yes, for inventory, not really. There are so many ways to do it im sure mine is the most bootleg way of all. I'm trying to use a spreadsheet, but I'm such a visual person, using photos like you do might be easier for me. Such a good way to organize! 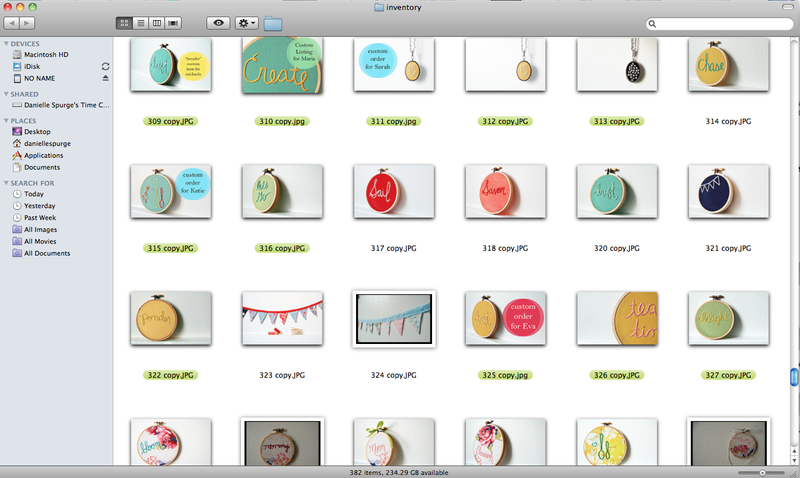 Be right back, going to redo all my mess of folders for my shop!